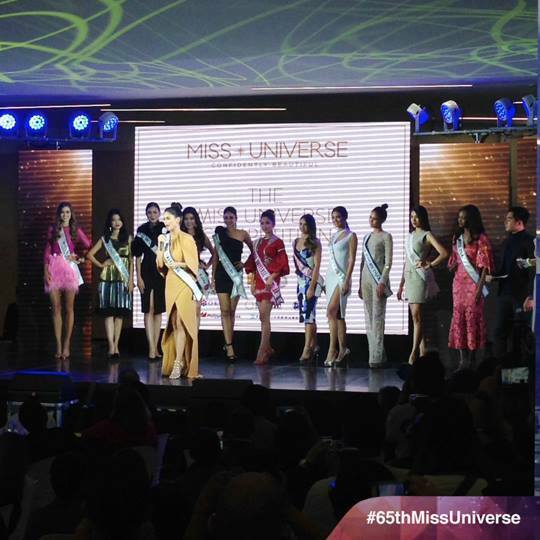 The REAL pageant has not even officially started yet, but the Manila host committee is already determined to show that they will host and stage the best ever Miss Universe Pageant in January. A week long kick off celebration has been organized and Miss Universe, Pia Wurtzbach, and the president of the Miss Universe Organization, Paula Shugart, have been flown in to join the festivities. 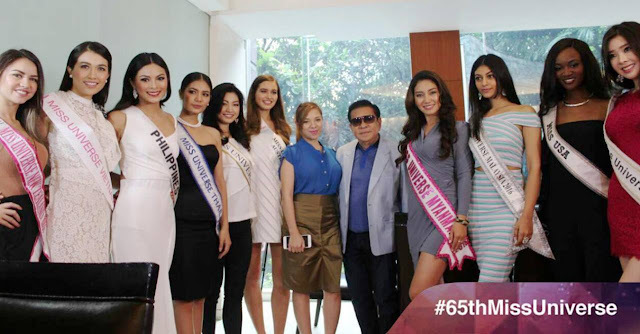 Some of the delegates who will be competing for the 65th Miss Universe title have also been invited to spend a week in the Philippines. Joining the host delegate from the Philippines are the girls from Australia, China, Indonesia, Japan, Korea, New Zealand, Malaysia, Myanmar Thailand and Miss USA. At the first kick-off event, Paula Shugart declared: "I love the Philippines!" She also said that seeing the country host the event is "a dream come true". Tickets for the final have also gone on sale. The 65th Miss Universe Pageant is sure promising to be a grandiose affair!